As I sit in the beautiful lobby of the hotel at Kibbutz HaGoshrim, I have the opportunity to reflect on the incredible day we experienced as a group. This morning we started our descent down a steep and rocky trail which led to a flowing stream. Along the way we had the challenges of crossing over rocks and navigating over some more difficult parts of the path mixed in with refreshing pools and opportunities for swimming! In true Ramah fashion, the entire day felt like a tiyul or a trip I would take at camp with my edah (age division). And, after only two days of hiking together, our group bonded in the same way. We smiled, laughed and supported one another as we navigated a challenging course. There was a great sense of teamwork and community all day with many hikers sharing stories, high fives and helping hands at every moment. 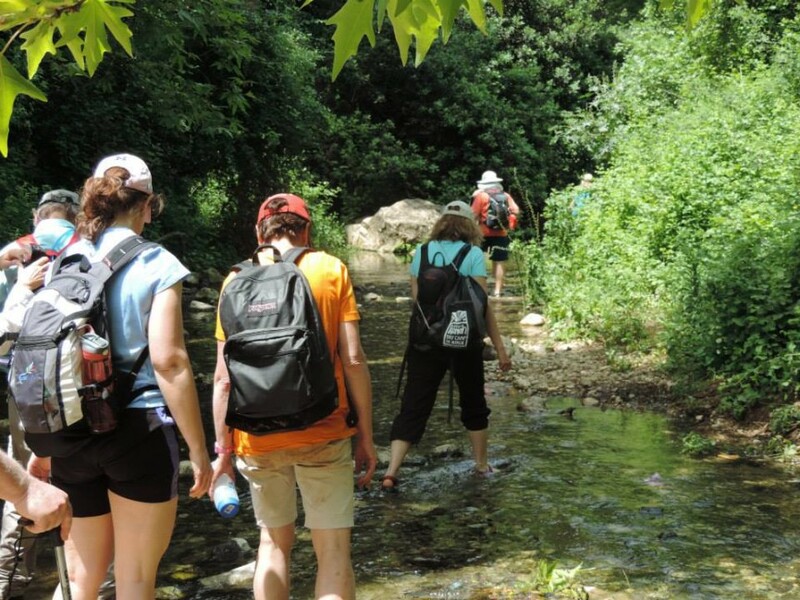 We ascended the mountain to a historical fortress and were able to feel a huge sense of accomplishment together as we looked out onto the luscious and beautiful Galil, north of Israel, and at the many miles we had just trekked together. I am looking forward to a few more days of hiking together and for the continued sense of community and friendship that is only felt when with fellow Ramah friends.